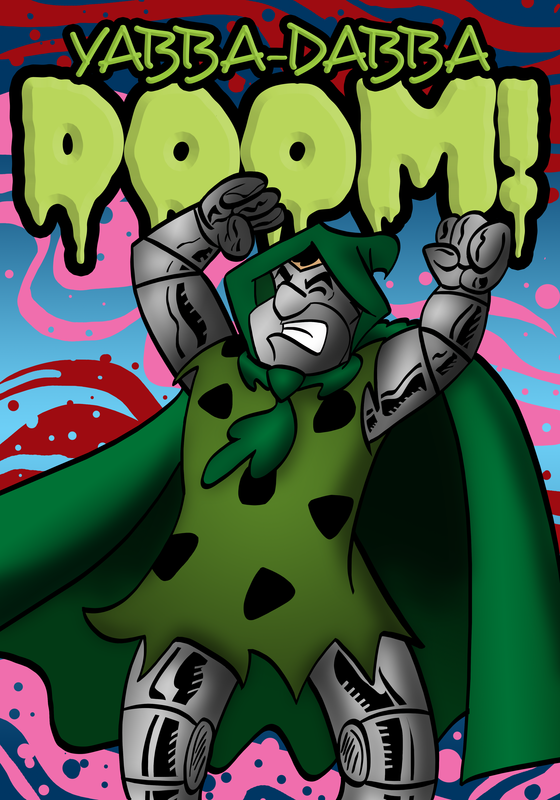 Mash-up of Fred Flintstone & Dr. Doom. Digital painting. 2015.